- We use easy-lube hubs which ease the repacking of wheel bearings by eliminating the need for disassembly, and are backed by a 1-year warranty. 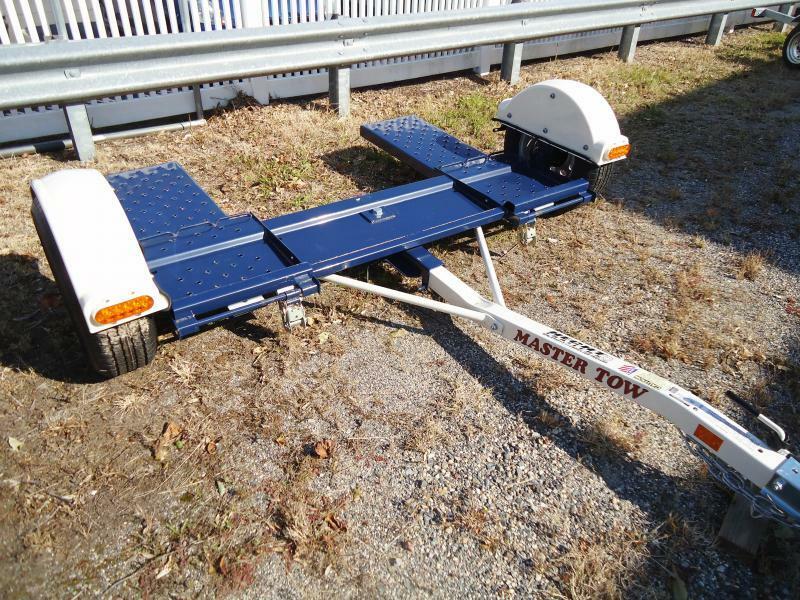 - All of our dollies are equipped with new Radial tires and wheels that are computer balanced to assure a smooth ride at all towing speeds and are backed by a One Year "No Excuses Guarantee" agaisnt manufacturer's defects. 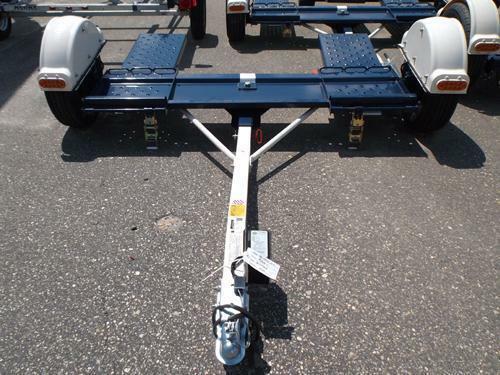 - Our ramps and carrying pan tilt rearward for loading and feature a raised tread grip pattern that gives extra traction making the Tilt-Bed Loading safer and easier. 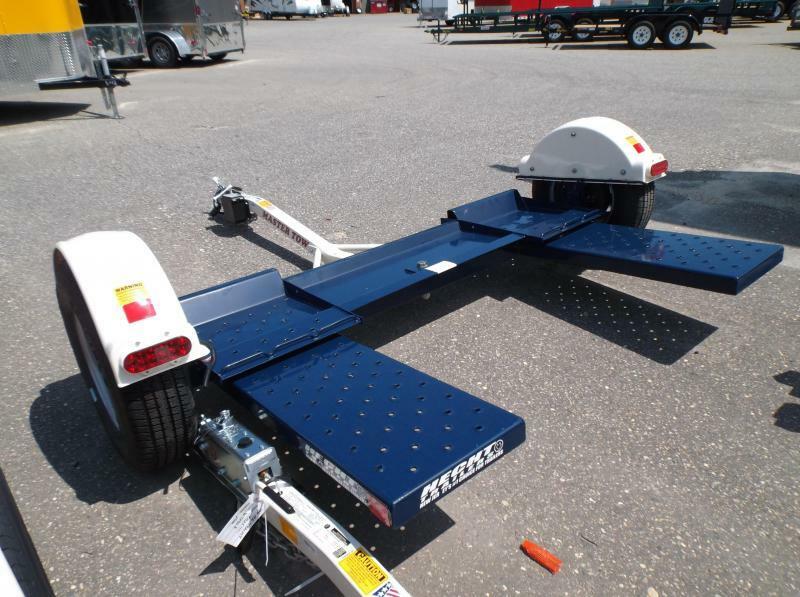 - Our fenders are molded of Â¼" thick polyethylene which eliminates metal fatigue problems common with steel fenders, and they will not scratch or rust. They feature oval waterproof LED lights that are mounted with an exclusive light retainer system to insure their secure attachment. - The carrying pan steers for your car by swiveling smoothly on polyethylene pads which are maintenance free. 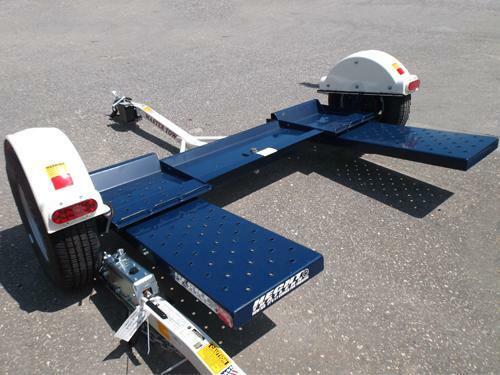 - Both safety chains have a unique steel s-hook safety clip added to insure their secure attachment to the tow vehicle at all times. - A factory molded plug-together wiring harness is used to eliminate the need for wire splices which often corrode and lead to wiring shorts. It is also poly loomed where exposed and carefully routed outside the fender well to prevent wires from being damaged by debris thrown up from the tire. - We use an exclusive painting process which involves chemically cleansing and etching the bare metal before applying a durable powder coat finish. This extra effort keeps our dollies looking better longer. 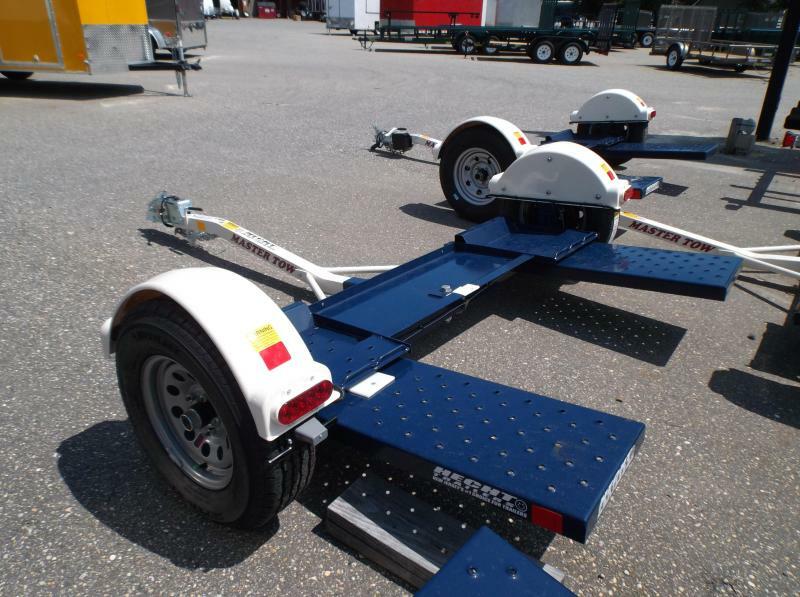 - 10,000 pound rated ratchets and adjustable straps securely fasten most 13" through 16" tires and wheels. 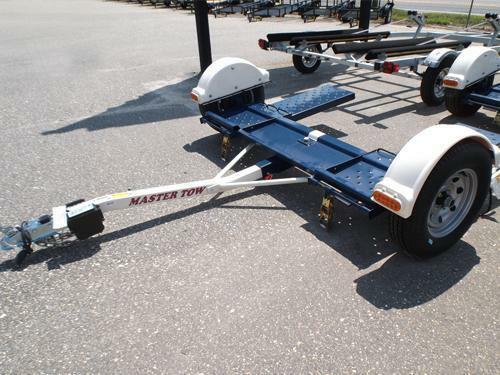 - Every Master Tow dolly is backed by a 1-year written warranty to show our commitment to quality.